Mornings are always early around here, usually beginning before the sun has made it's full arrival. This morning during breakfast preparations I looked up and caught Ethan reading a Curious George story on the couch in the glow of the lamp light. 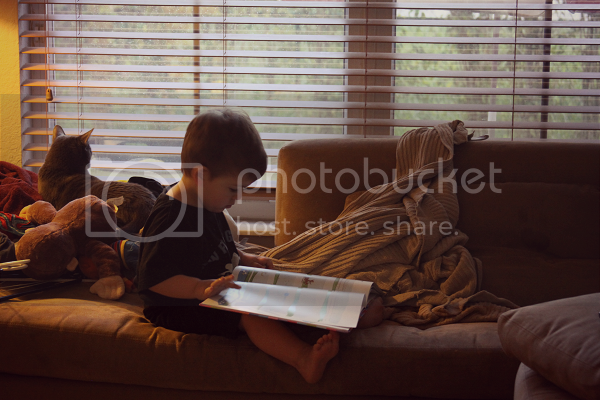 It was one of those moments where he just looked so old, like a child deeply engulfed in one of his favorite books, but then there was his too-big t-shirt and bare little toes hanging over the side of the couch and he was still so perfectly little.